Wildlife Habitats along the Canal. Not only does the canal provide a home within its waters for many creatures, including plants and rare fish, such as lampreys but the banks of the canal are also an important habitat for wildlife and nature. Many of the native plants form an important habitat, and as such are managed with care to enable us to share the canal with both common and rarer creatures. 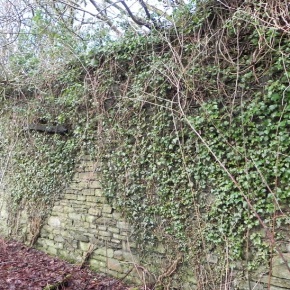 This flourishes along the canal banks and is an essential for wildlife. Its flowers provide nectar and pollen for many insects, it bears fruit in late summer and autumn, and offers good cover all year round. 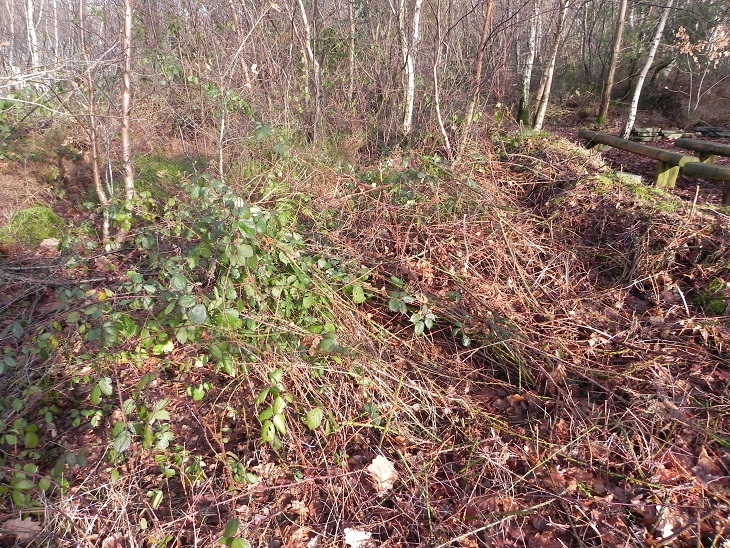 Hundreds of creatures use brambles at different times of the year, including including bumblebees, honey bees, hoverflies, wasps, butterflies, moths, flies and lacewings. Spiders spin webs to catch the bounty of visiting insects. 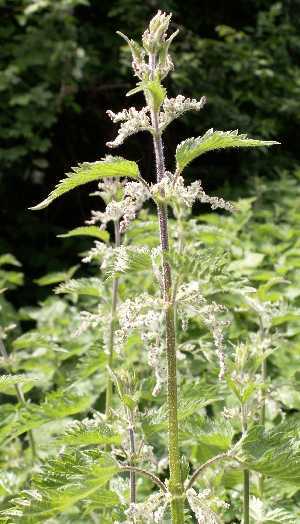 Several moths lay their eggs on bramble as it is their larval food plant. Blackbirds, thrushes, chaffinches, starlings, robins, pheasants, foxes, mice and other small mammals eat the fruits. 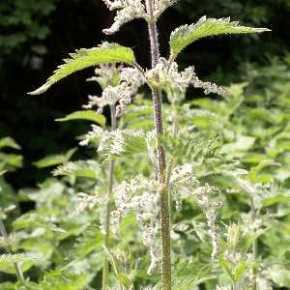 The stinging nettle is one of the most important native plants for wildlife in the UK. It supports over 40 species of insect including some of our most colourful butterflies. Growing up trees and old walls, carpeting the ground, and forming thick bushes, this creeping plant is not a parasite, as many might think, but only gets support from its host. This might be a house, a shed or a tree in woodland, but none of them will suffer for it. The yellow-green flowers of Ivy are a great source of nectar for autumn insects such as Hornets, Honey Bees and Red Admiral Butterflies. 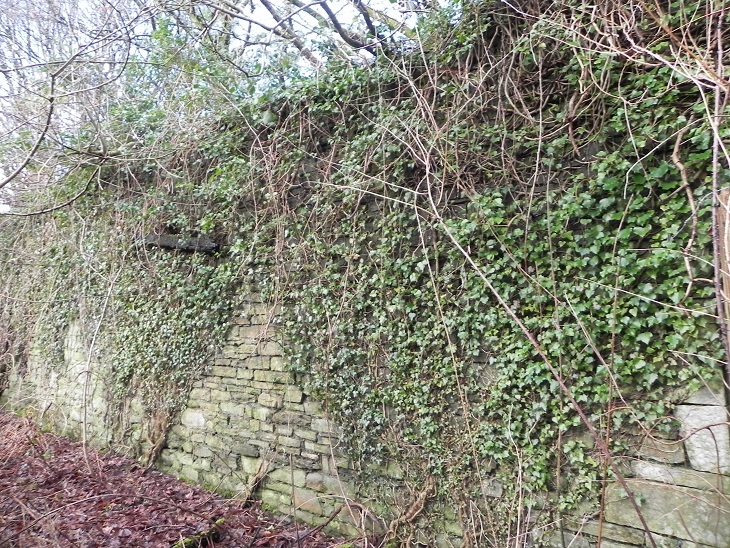 Ivy also provides roosting sites for bats and birds, and a home for hibernating insects like Brimstone Butterflies. Dead wood and coarse woody debris is extremely important. Not only does it provide a steady, slow-release source of nitrogen, but it is also thought to play a significant role in carbon storage. Fallen logs can also increase soil stability. Standing dead trees and fallen debris provide a fantastic array of microhabitats. They a home for a wide range of organisms including fungi, lichens, invertebrates, mosses and birds, many of which have very specific requirements. Some specialising exclusively on one particular microhabitat. 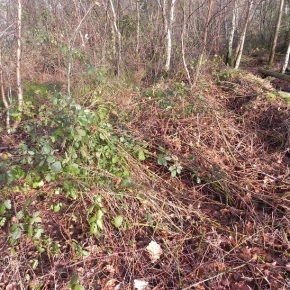 A remarkable 40% of woodland wildlife is dependent on this aspect of the ecosystem. Invertebrates, specialist flies and beetles also rely on dead wood. A number of these have now become extremely rare, as a result of loss of habitat. 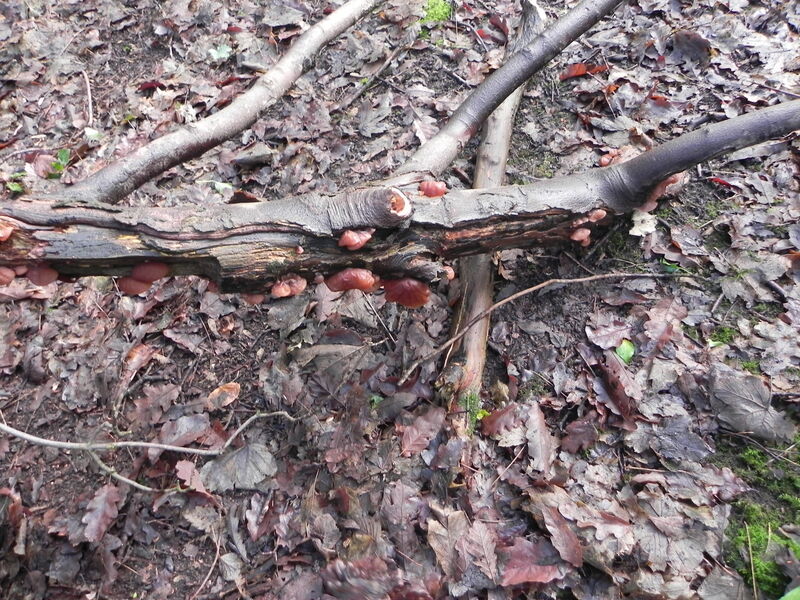 Certain insects and beetles depend on the fungi which grow on dead trees. Birds, bats and other vertebrates also need dead trees. One third of all woodland birds nest in holes or cavities in dead trees, and large, hollowing trees provide ideal roosting sites for species such as the great spotted woodpecker and various owls. Some birds also rely on the invertebrates in dead wood as a food source. At least ten of our fifteen bat species use tree holes for summer and winter roosts. Birds of prey will frequently use dead trees as lookouts and food handling points. In addition, logs are a valuable feature for other vertebrates, and are used for cover, feeding, lookouts, resting, sunning, drumming and hibernating. A wide range of mosses and lichens can be found on decaying wood. 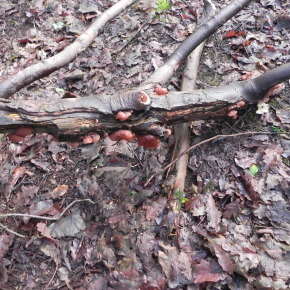 There is also a whole range of fungi which obtain nutrients from dead organic matter. It is said that there is more life in a dead tree than a living one. Some specialist beetles such as longhorns are found in the early stages of wood decay and are again followed by predators and scavenging beetles. It is important to leave dead wood among the living trees.